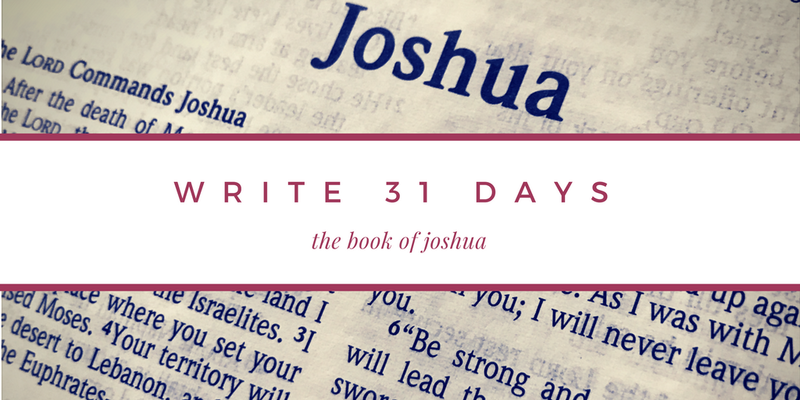 I say this because today is a prompt word I didn’t know about, and I couldn’t think of anything about the word “Invite” that has to do with the book of Joshua. Because there is nothing about this book that involving inviting. There’s a lot of plundering, a lot of commanding, a lot of conquering, a lot of war. God doesn’t “invite” his children to take over the Promised Land. He commands them. Joshua doesn’t invite his people to roll the large stones against the mouth of the cave where the kings were hiding. He commanded them to. The cities did not invite God’s people in, the fought against them. So here I write… trying to figure out, with a prompt word that is the opposite of everything this book is about …what to say. While I think there are many inviting things about the gospel, obedience doesn’t always look like one, especially to someone who hasn’t experienced the heart transforming work of Christ in their lives. These commands God gives can feel rigid and unsettling. Controlling and demanding. Unfair and… well, a buzzkill. But God was not just commanding the people in Joshua. Nor is he just commanding us. He is also inviting us into a better story. A story he’s written, yes, but one that will ultimately lead to blessing and not defeat. 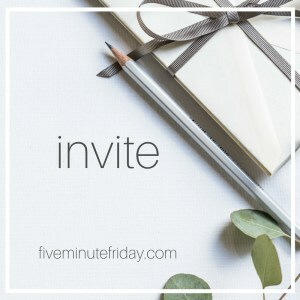 This invitation is not about us and the story that we want. It’s about the best story. The right story. The true gospel is an invitation to freedom and not a prison full of demands. Our God does ask for obedience, but ultimately that obedience leads to a promised land. Sometimes you've just got to be invited to war. Fighting is, after all, something of a privilege. And also to things like pancreatic cancer. Don't recall accepting the invitation, but it's where I'm supposed to be.